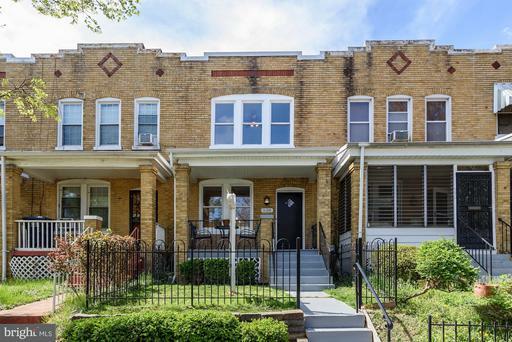 Charming Federal style row home in Kingman Park. Home boasts newly refinished hardwood floors and plentiful natural light. Living room flows into the separate dining room and sunroom. Move-in ready kitchen or design your dream kitchen. Two spacious bedrooms, one with sitting room. Bathroom shines with newly reglazed tub and tile. Finished basement offering additional living space. Parking in the rear.Block from H St/Benning Streetcar offering easy access to Union Station and booming H St. RFK redevelopment is just blocks away with exciting new plans for~playing fields and retail, all within an easy walk.~Nearby~Kingman and Heritage Islands offer~walking and biking trails. Close to Capitol Hills Barracks Row and Eastern Market. Barracks Row offers plenty of shopping and dining. 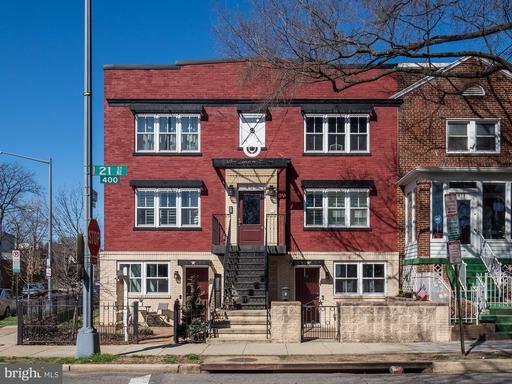 Spacious, sun-filled condo in a boutique building on a beautiful tree-lined street in Kingman Park. Open floor plan with shared living room and eat-in kitchen. Kitchen boasts stainless steel appliances including a gas range, glass hood, and wine refrigerator. Master bedroom offers ample storage with closet and an additional walk-in closet. Additional living space with second bedroom or den. In-unit W/D. Community rooftop deck and patio with gardens. Off-street assigned parking spot in the rear of the building. Association has low condo dues! Across the street from the RFK re-development including new athletic fields and two-story food hall. Easy access to Kingman and Heritage Islands offering walking and biking trails. Metro is just six blocks away and Capitol Bikeshare is right out front -- making this is one of the most accessible communities around! 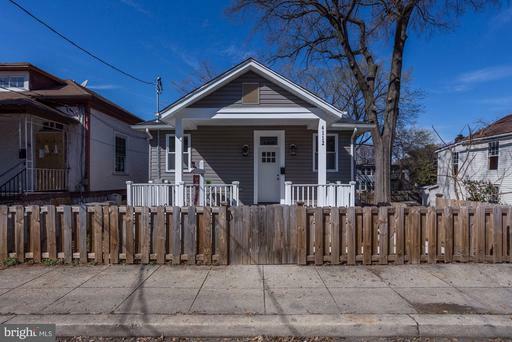 Charming bungalow just blocks from the Minnesota Avenue Metro Station. Welcoming front porch leads to open floor plan with gleaming wood floors and plentiful natural light. Recently remodeled kitchen boasts white cabinets, gorgeous marble countertops, and stainless steel appliances. Three spacious bedrooms with ample closet space on the main floor and full bath. Basement is offers additional living space or rental opportunity. Currently used as an AirBnb $70-130 per night with separate entrance and connecting stair. Full bath plus half bath in basement with W/D. Off-street parking with two spots in the back. Many great neighborhood gems including Deanwood Recreation Center with indoor pool, local library, Anacostica River Trail for biking and walking, Fort Davis Park and Minnesota Avenue improvement project. Fabulous, sun-filled 1 bedroom/1 bath unit in Hill East. Move-in ready, freshly painted unit boasts gleaming hardwood floors and ample storage. Open living area and eat-in kitchen with gas range. Spacious bedroom and bathroom with newly re-glazed tub. Bonus- off-street parking! RFK redevelopment is just blocks away with exciting new plans for~playing fields and retail, all within an easy walk.~Nearby~Kingman and Heritage Islands offer~walking and biking trails. Close to Capitol Hill with Barracks Row and Eastern Market. Barracks Row offers plenty of shopping and dining, including Michelin rated restaurants that are just part of the amazing options. On the weekends, Eastern Market closes its street for farmers and flea markets.